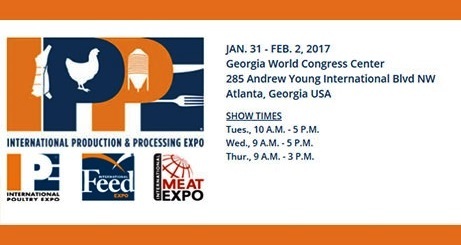 ThaMa-Vet is delighted to exhibit once again at IPPE 2017, from January 31st to February 2nd, at Atlanta USA. This year we will be showcasing flagship poultry, fish and livestock automatic syringes along with innovative veterinary syringe products for swine vaccination. Many of our products will be on display at the IPPE expo floor to make them accessible for a first-hand touch-and-feel experience. ThaMa-Vet will also offer on-the-spot purchases for select partners and visitors at the expo. Best selling and market leading poultry syringes including ThaMa 220 and ThaMa 222, renowned for their reliability, accuracy and ease-of-use, will be among the booth products available for direct orders. All of ThaMa-Vet’s syringe product lines have been meticulously developed to enable a vaccination process as intended by the vaccine companies. Over the past year ThaMa-Vet also invested in extended services and support to global partners, as part of our service-centric agenda. The company continued to expand its global reach to South-East Asia and China. To meet us first-hand and review some of the world’s top veterinary syringes we welcome you to our booth #C2645 at the Georgia World Congress Center.